Christina's Creations: You Had a Bad Day Release and a FREEBIE! 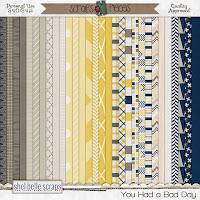 Shel Belle Scraps is a guest designer at Gotta Pixel this month and has released a kit called You Had A Bad Day for it. I LOVE THIS KIT and had a lot of fun working with it. 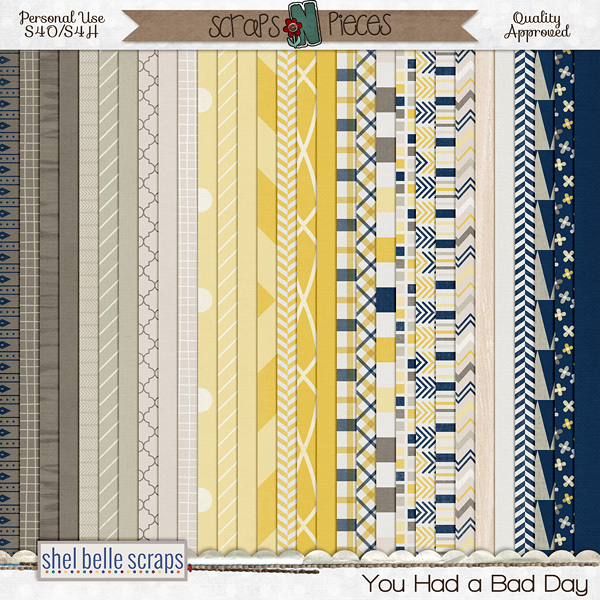 You can pick it up in the store by clicking here. 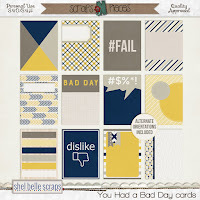 I also created a coordinating freebie for you that you can find at the end of this post. Everything in her store at GottaPixel is 30% off through April 7th, so pick it up now while it's on sale! 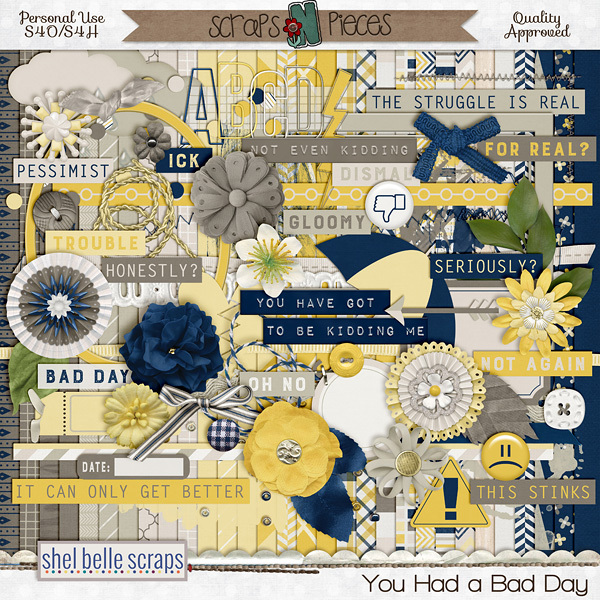 This is the layout that I created with the kit. 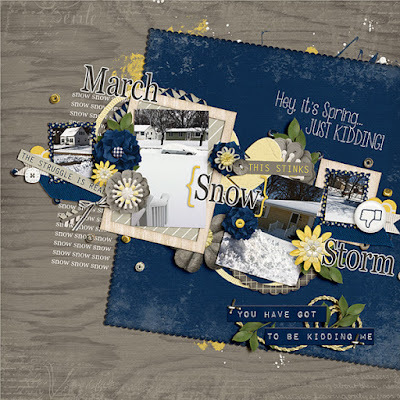 In Minnesota we have the wackiest weather and I decided to scrap it! 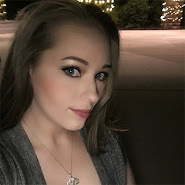 We literally had a gorgeous day where it was 60 degrees, and the next day we got 2 feet of snow, in the middle of March! 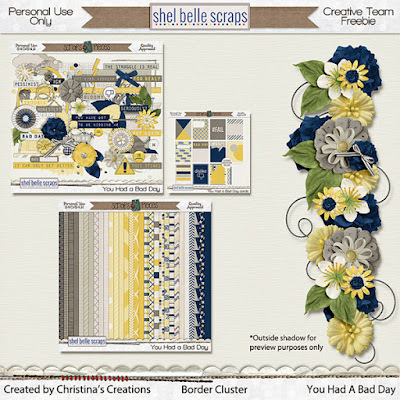 Here is your freebie, I created a border cluster this time. Click the link below to download it.